Anthony Levandowski of Google, has set up a religious nonprofit organization called Way of the Future. The organization is devoted to the worship of artificial intelligence as a god. Organizations mission statement: "To develop and promote the realization of a Godhead based on artificial intelligence and through understanding and worship of the Godhead contribute to the betterment of society." Google is setting the path towards a future dictated by artificial intelligence and has gone so far as to produce engineers dedicated to creating an “artificial god.” In addition, engineers at Google, Facebook, and the whole of Silicon Valley have failed to realize the potential consequences of their actions. The latest prediction to surface from the tech world is that within as little as five years, artificial intelligence will further wipe away countless jobs from the job market. The study, produced by Redwood Software and Sapio Research, and released on October 4th revealed that IT leaders believe automation could impact 60% of businesses by 2022 and threaten jobs in the process. Also, the second biggest firm in the world, PWC, released a report suggesting a similar timeline; one in which people may need to practice and learn new skills — or be left behind as automation takes over. Like an invading army Silicon Valley and tech companies around the world are set to threaten the livelihood of countless people across the planet as Artificial Intelligence begins to advance through the ranks of corporations throughout the globe. The advancement of technology has placed innumerous burdens on the mental health of many, and a study from the University of Illinois argues that high engagement with mobile technology is linked to anxiety and depression. Also, the millennial generation has replaced conversation with texts and thoughts with tweets. It’s safe to say, that technology, while extraordinarily beneficial in some applications, is exuberantly burdensome in others. By far the most worrisome addition in regards to technological advancement, however, is the worship of technology. Now, from the mouth of the beast in Silicon Valley, an engineer has set forth an objective of creating an artificial godhead. While this may sound like something straight out of a movie, documents obtained by Wired.com, showcase one former Google engineers plan to advocate for the worship of technology. Unfortunately, Levandowski is not the only one advocating for the advancement of such. Instead, there are countless others in Silicon Valley and around the world advocating for the creation of an artificial god. One of the other more prominent ones is Yuval Harari. On November 27th, 2017 1030 EST. Levandowski and several others believe that they can create and control a ’super artificial intelligence,’ however, others in Silicon Valley would beg to differ, namely, Elon Musk who claims that humanity only has a five to ten percent chance of surviving it. Evolution, they call it, but in reality technocrats, conglomerates, and some governments are weary of the labor constraints of humans, and in due course, large corporations plan on replacing the human workforce with robotics and automation. Such automation is what Levandowski wishes to worship. In fact, it is estimated that in as little as five years, careers will begin to further vanish only this time, to be replaced by automation. But, Elon Musk isn’t warning about the crushing blow Artificial Intelligence will have on the workforce. Instead, Musk is warning about another inevitable outcome, killer robotics. The sell; Levandowski and others believe, after creating ‘a super intelligence’ that they, mainly the AI, can take better care of the environment. 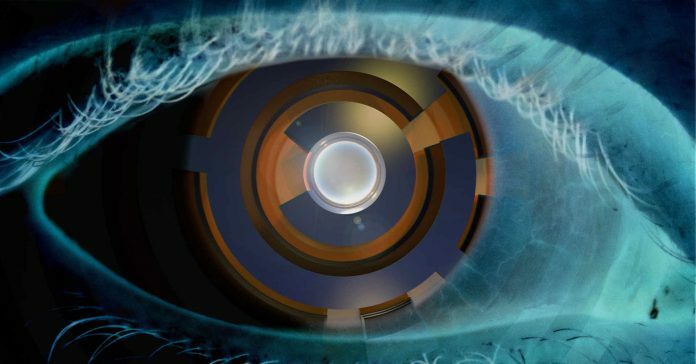 The eye created by ‘the super-intelligence’ will monitor every movement, breath, and so on. ’The eye’ has already been created and is in the testing phase at Quayside, a city being constructed by Google. Thousands of years ago men carved idles out of wood and stone asnd mental and worshipped the God they created. Hasn’t changed much. If it hastens the second coming of Jesus Christ then i am all for it.